Bland History: Bland County was formed in 1861 from portions of Giles, Tazewell, and Wythe Counties. The people of the area had become dissatisfied with the distance to the various county seats. Thus an act to establish the County of Bland passed the General Assembly of the State of Virginia on March 30, 1861.The County was named Bland in honor of Richard Bland of Revolutionary War fame. Richard Bland was a Virginia statesman and champion of public rights. 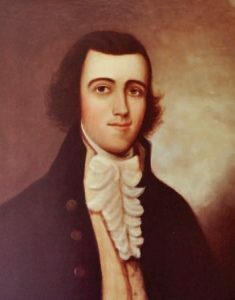 Son and grandson of successful planters, he was educated at The College of William and Mary. From 1742 until his death in 1776, he was a state legislator, first in the House of Burgesses, and later, with the adoption of a state constitution, in the House of Delegates. He also served as a delegate from Virginia in the First and Second Continental Congresses. Because of his careful study of the ancient records of the colony, he was respected not only as a political leader, but also as the leading authority on Virginia’s history.